Thanks for stopping by. 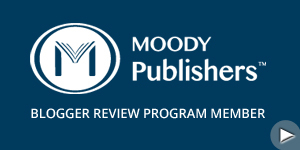 You'll find some reviews of books I've read. I love to read mysteries and thrillers. Favorites include James Lee Burke and Louise Penny. I love discovering new authors. New cookbooks are another favorite. I also review women's fiction, historical fiction and Christian fiction and non-fiction. Follow me on twitter: @PoCoKat. Happy reading my friends! World War I is raging in Europe, but as the deadly influenza pandemic of 1918 sweeps like a wildfire through Boynton, Oklahoma, Alafair Tucker is fighting her own war. Her daughter, Alice, and son-in-law, Walter Kelley, have both come down with the flu, and Alafair has moved into town to care for them after quarantining her young children at their sister s farm. Boynton as a whole isolates itself like an old English plague village, discouraging anyone from coming into town and the residents from traveling outside. A new doctor applies science to treating the stricken, but Alafair applies all she knows about hygiene, nutrition, and old and trusted country remedies. Unable to aid her sons and sons-inlaw fighting overseas, this is danger she can combat. One autumn afternoon, screams coming from next door alert Alafair that Alice s neighbor, Nola Thomason, and her son Lewis have suddenly and unexpectedly succumbed. Yet there is something about the way the pair died that causes Alafair to suspect their deaths were due to poison rather than to influenza. The epidemic is so overwhelming that it is many days before the only doctor left in town can confirm Alafair s suspicions; neither Nola nor Lewis died of the flu. The only witness to their deaths, twelve-year-old Dorothy Thomason, a special friend of Alafair s daughter, Sophronia, is so traumatized that she is rendered mute. Were Nola and her son murdered, and if so, why? The usual motives for murder are greed, or jealousy, or hatred. Or could it be, as Alafair fears, that the Raven Mocker, the most dreaded of the Cherokee wizards or witches, the evil spirit who takes to the air in a fiery shape to rob the old, the sick, and the dying of their lives, is hunting victims and bringing misery to the innocent?" 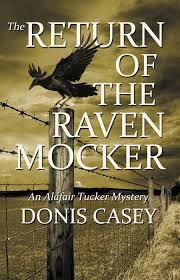 The Return of the Raven Mocker is the ninth Alafair Tucker mystery by author Donis Casey. I have read the previous books in the Alafair Tucker series and found them all to be fascinating, well written and informative. The Return of the Raven Mocker. The title of the book itself is enough to grab anyone's attentions. How intriguing can you get? The Raven Mocker is an evil bigfoot being from Cherokee mythology who robs the old, sick and dying of their lives. As the Spanish Flu Epidemic of 1918 barrels through Boynton, Alafair is reminded of the Cherokee myth and doesn't even want to hear the name Raven Mocker. Donis Casey gives the reader a history lesson without them even realizing it. I learned so much about the Spanish Flu Epidemic from this book. But someone in Boynton is using the flu epidemic to cover up a murder. And Alafair figures this out early and the hunt is on. With the assistance of a new young doctor sent to help with the epidemic, Alafair is able to see through the deception. I love the characters that author Casey has created in Alafair's family and the town of Boynton. Alafair's large family is fighting World War I in Europe and the Spanish Flu at home. Opening The Return of the Raven Mocker, the reader is transported immediately into the realm of the Tucker farm and their lives. It is always a fascinating world to dive back into. The Return of the Raven Mocker is well written tale. I found it immensely enjoyable and I'm sure you will too. Read the entire series!!! I highly recommend The Return of the Raven Mocker. Follow Kathy's board MysteriesEtc Reviews on Pinterest.